The expression of these two products is comunicated through typographical essentiality. 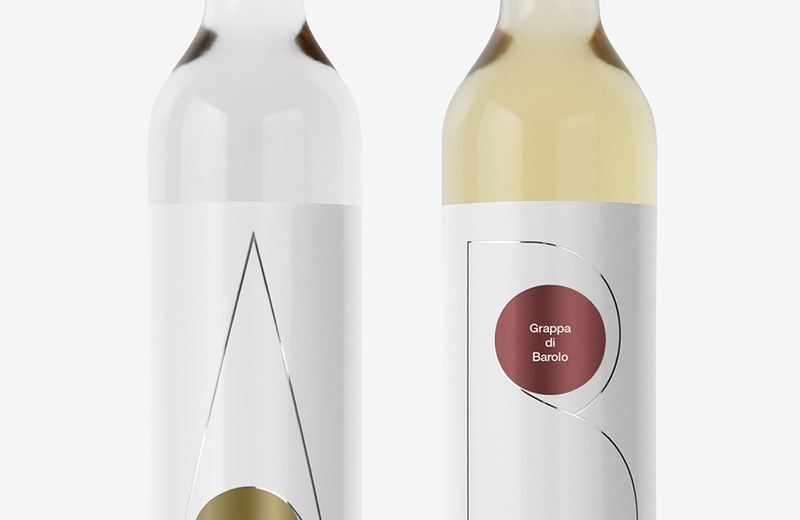 Using only the letters A and B, we wanted to emphasise the varietals — Arneis and Barolo — which are used in making these single-grape distilled spirits. 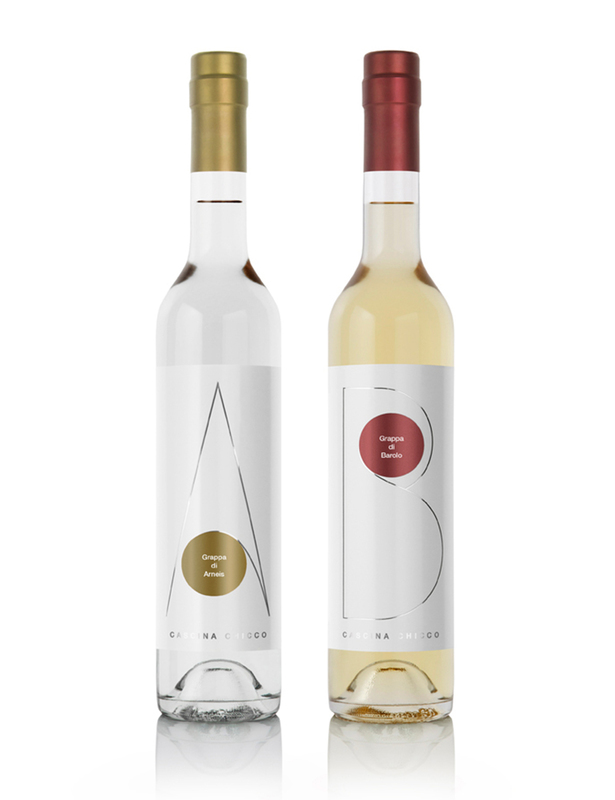 The interpretation is embodied by means of a thin line that, with its closing graphic gesture, recalls the movement of tendrils reaching out towards the bunch of grapes, conveying the product’s origin with extreme synthesis and distinctiveness.